Record contain client’s API to understand and solve their problem. “Info”, “API” and “request data” are shown here to get API Log. 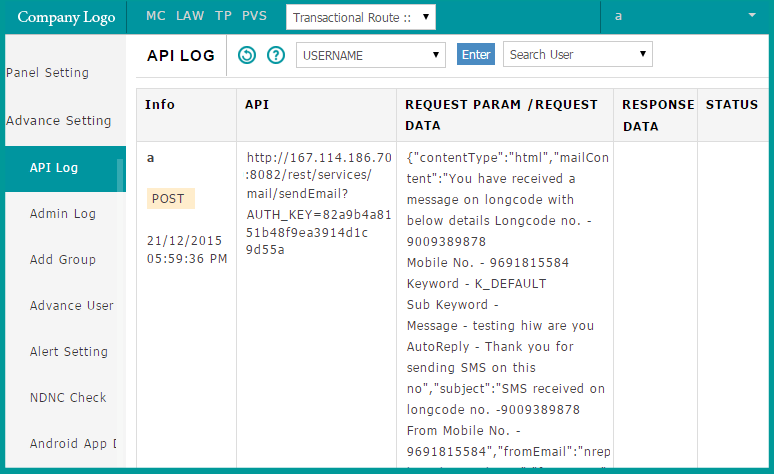 API of user can be tracked easily and problem will be seen and solved through this log.